The New York Times (1851-2011) offers full page and article images with searchable full text back to the first issue. If your family settled in Washington State, the Seattle Times Archive may provide insight into the immigrant experience in the Pacific Northwest. Try searching for an ancestor's last name as birth, death, marriage, and divorce notices may be found. This library guide has been designed for students enrolled in Dr. Rita Rud's Honors 380 seminar. To access information on specific topics please click on the tabs above. Located at 1657 South Blaine Street, the center offers access to premium online research databases, such as ancestry.com, My Heritage, and ProQuest Obituatries, to name a few. Hours of operation: 1-4 pm Tuesdays and 7-9 pm Wednesdays. Phone: 1-208-882-1769 (Center) or 1-208-882-5636 (Foyer). You have endless possibilities for inspiration related to this assignment, including literature, film, politics, music, history, food, pop culture, folklore, architecture, and art. After selecting a country related to your family history and heritage, you can draw on your own personal interests for inspiration. What speaks to you? How do you see yourself as the inheritor of your cultural heritage? Literary works that discuss the immigrant experience are sometimes called "assimilation narratives," or "immigration narratives", books that tell the story of the protagonists as new citizens, navigating a new world through the lens of their cultural heritage. Sandra Cisneros' The House on Mango Street and Amy Tan's The Joy Luck Club, are two titles that come to mind. You may also find inspiration in biography as literary form, or “life writing”; Dominika Dery’s Twelve Little Cakes is an interesting example of this genre. Whether your own family recently immigrated, or whether they came to the United States several generations ago, this assignment gives you the opportunity to investigate your own cultural heritage and reflect on how it manifests itself in your present life. Oxford, Sage, and Gale each offer a suite of online reference materials. Search these for preliminary information on cultural history, social, political and economic history for your country or topic. Access to over 180 dictionaries and encyclopedias across many subject areas. Access to a suite of Gale reference titles covering many disciplines. This wiki can be browsed by country and contains excellent tips on family research by country of origin. BBC Family History - What's in a name? A practical guide to researching your family history with special attention to England, Scotland, and Wales. This first link takes you to the Step 1: Discover Your Story tutorial. See additional Steps for other topics. Links to vital statistics sites for Canadian provinces and territories where birth, marriage, and death records can be searched. Contains 152 original essayson specific minority and ethnic groups in the United States, with an emphasis on culture (religions, holidays, customs, language) in addition to information on historical background and settlement patterns. 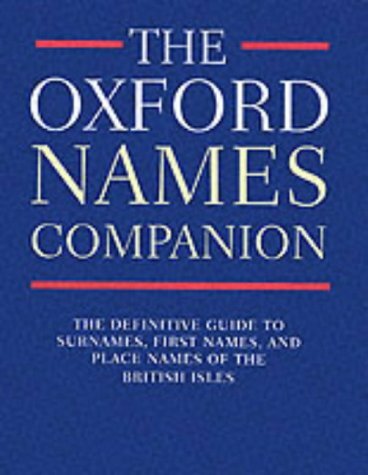 A guide to the surnames of Great Britain. This is the first substantial reference work in English on the various forms that constitute "life writing." Includes entries on genres and subgenres, national and regional traditions from around the world, and important auto-biographical writers, as well as articles on related areas such as oral history, anthropology, testimonies, and the representation of life stories in non-verbal art forms.